Widening Access in Higher Education – Are we there yet? 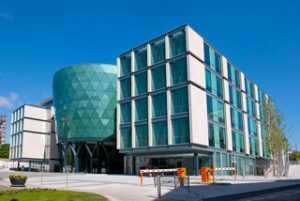 The 2017 NEON Summer Symposium was attended by 220 delegates from across the country over the two days of the conference in Leeds. This was the fifth annual NEON Summer Symposium and it was the most well-attended to date. Widening access to higher education has been an imperative for policy makers and higher education providers since the late 1990s. As we approach twenty years of concerted efforts to widen access to HE in England, the 2017 NEON Summer Symposium looked at what progress means and whether it is being made? What have we learnt in the last two decades and crucially, what should the goals for the next decade and beyond look like in the area of access and equity in HE participation? Understanding the nature of widening access practice – how do HEIs and others plan and design their portfolios of work and what do these portfolios look like? How are HEIs, schools and others working together to raise attainment and what are the challenges in meeting government policy goals here? What is being done to support greater participation (as well as retention and success) for learners with disabilities? Building vocational pathways – how are degree apprenticeships being taken forward and how are learners on vocational courses experiencing HE and being supported to succeed? Outcomes from the NNCO – what projects were developed? Are they being sustained? What did we learn about building partnerships and supporting learners? The use of data to both shape who is targeted and what is delivered – is practice as data informed and led as it should be? The relationship between outreach, student retention and student success – how are HEIs developing strategic approaches to connecting the student lifecycle? Helping students from widening access backgrounds achieve their potential in HE – inclusive learning and teaching and/or targeting approaches? Connecting access and identity – challenges and innovation in supporting white disadvantaged males/females and those from BAME backgrounds. The NEON Summer Symposium offered two days of stimulating keynotes, presentations and discussions. It was also an invaluable opportunity for widening access professionals, careers advisors, student support specialists, policy analysts and academics to engage with each other, discussing best practice and driving forward a social mobility agenda that we are all dedicated to.